Bangkok: Thai voters flocked to the polls on Sunday for the first election since a 2014 coup and an exit poll indicated the populist party linked to exiled former leader Thaksin Shinawatra would win the most seats, but not enough to form a government. 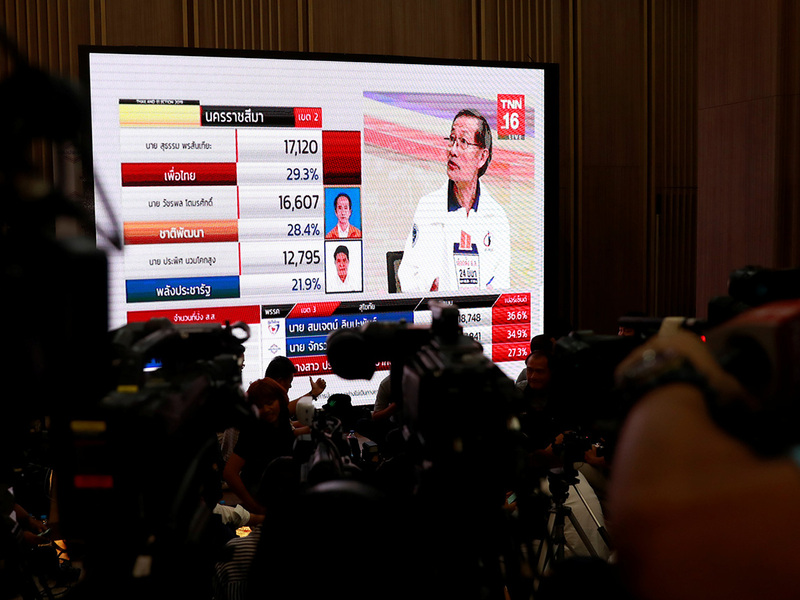 However, immediately after polls closed at 5pm (1000 GMT) the Thai PBS channel aired an exit poll by Thai research centre Super Poll that indicated Pheu Thai would win 163 seats in the 500-seat House of Representatives. Prayuth’s Palang Pracharat party also could not form a government on its own, but it would have a better chance to form a coalition needed to elect a prime minister due to junta-written electoral rules that favour it. Voters are choosing the 500-seat House of Representatives. The lower house of parliament and an upper house Senate, which is appointed entirely by the ruling junta, will select the next government.